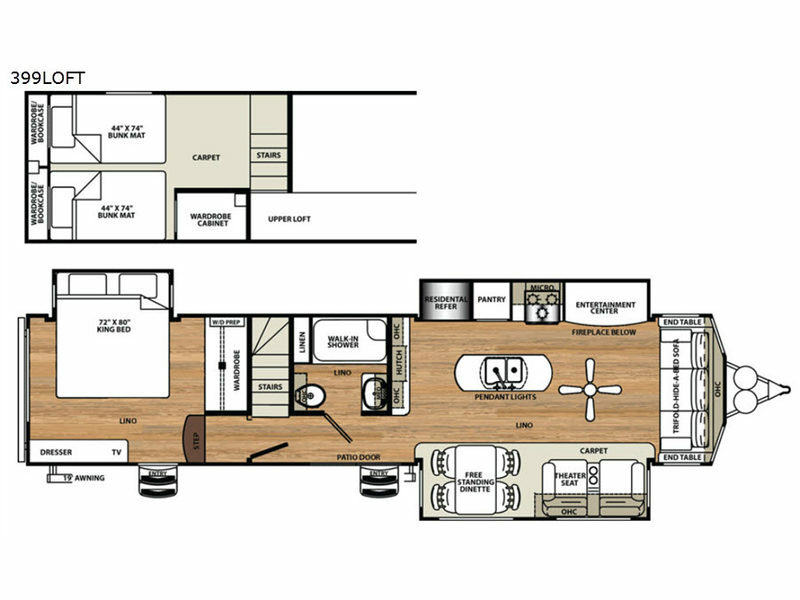 Every inch of a Forest River Sandpiper Destination Trailer is meticulously and practically designed to bring you the most living space possible and tremendous quality, both of which are hallmarks of any Sandpiper RV. From the conveniences of the well-equipped kitchen, to the comfort of the living room you will certainly not lack for refined living. 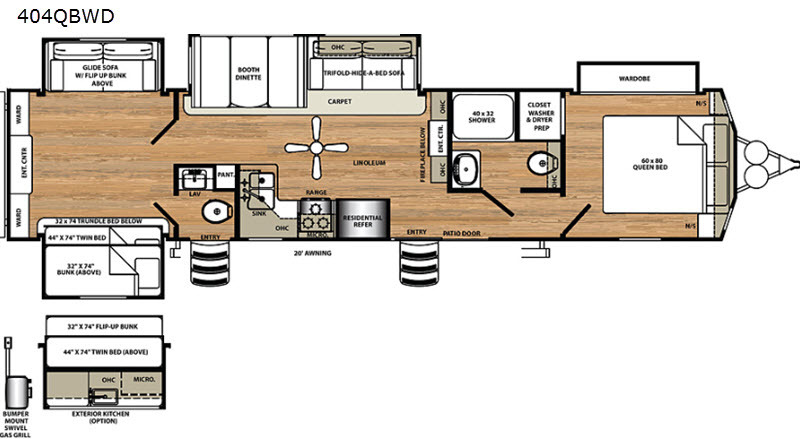 The Sandpiper destination trailers offers luxury throughout with 8'3" interior height and 6'4" slide heights, handmade cabinetry with screwed lumber core stile construction, recessed residential LED lighting throughout, and a stainless steel kitchen package to mention a few highlights. The large tinted windows with 80/20 UV prohibitor, the fully enclosed, heated underbelly, and the digital thermostat will keep the temperature inside just right. So why not take the Forest River Sandpipers reputation of elegance and outstanding quality and make it your choice for a destination trailer that your neighbors will surely envy!